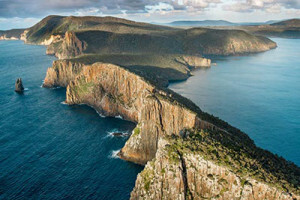 Tasmanian Nature Company – Discover the unique animals and plants of Tasmania at Australia's best eco-destination! You’ll come face to face with endangered Tasmanian devils and many other endemic Tasmanian creatures at the first Unzoo in the world. Take a behind the scenes Devil Tracker forest tour to a wild devil feeding site to see how these very special animals are monitored with high-tech infra-red cameras. 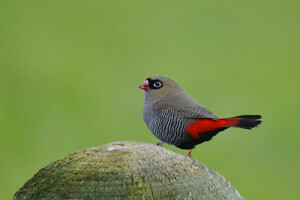 Join one of the Tasmanian Nature Company’s very experienced guides for a specialist birding or botanical tour. 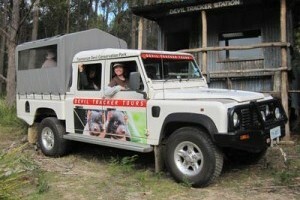 TAKE A DEVIL TRACKER ADVENTURE! Wow! What a fantastic experience. Terrific family memories were made when we visited Unzoo. It was wonderful to be so close to the animals and to be able to feed them. The Devil tracker adventure was wonderful to see how information is gathered about the Tassmanian Devil. Connor, our guide, was both knowledgeable and entertaining. 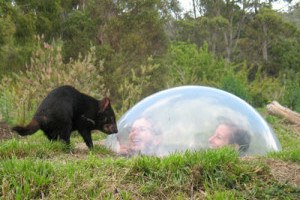 I will highly recommend Unzoo to anyone coming to Tasmania. Fantastic experience for my daughters & self. Phillip our guide for the day was very knowledgable, friendly, patient & didn’t hesitate to answer every question asked. We loved the behind the scenes 4 wheel drive experience & were lucky enough to be the only group on the tour. We learnt so much & have so much respect for everyone involved in protecting these precious endangered animals. The devil feedings is an eye opener to how devils fed & how much hard work goes into protecting the species from extinction due to cancer & road accidents. Everyone made us feel welcome & appreciated our visit. Highly recommend this experience. A huge thank you again to Phillip who worked so hard to please everyone & did so very easily! We will be back! I had a great time at the unzoo, I also went on the devil tracker and it gives a real insite into field observation. Thank you for creating such a wonderful experience to see devils and other wildlife. © 2015 Tasmanian Nature Company, All Rights Reserved.